Are you one of the millions of people who start out the new year promising to get healthy and eat better? Or, maybe you changed your diet before the rush of New Year’s Resolutions. No matter the reason, changing our eating habits can be a challenge. It’s easy to fall into a rut or feel like we’re depriving ourselves of our favorites. Take an ooey-gooey grilled cheese sandwich for example. This comfort food staple wouldn’t exactly be on most people’s healthy food plan. Fortunately, there are talented cooks all over the internet who love to think outside of the box to create good-for-us meals out of yummy foods. Which brings us to grilled-cheese sandwiches with zucchini crust. The thought of zucchini-crusted grilled cheese may sound a little … unusual. However, one look at these recipes and you’ll see how versatile zucchini can be in a meal beyond a side dish. 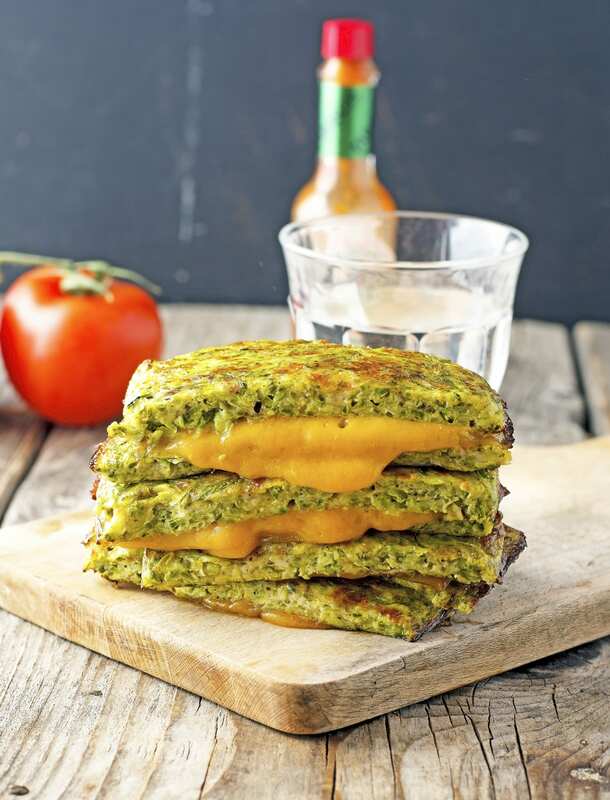 These recipes are a fabulous low-carb alternative to the original grilled cheese sandwich but keep the creamy goodness we all crave. So, get ready to add a little green to your grilled cheese. We bet you’re going to love what it brings to the party. This zucchini-crusted grilled cheese sandwich recipe from Kirbie Cravings takes the zucchini and morphs it into a crispy, yet sturdy “bread” for the sandwich. 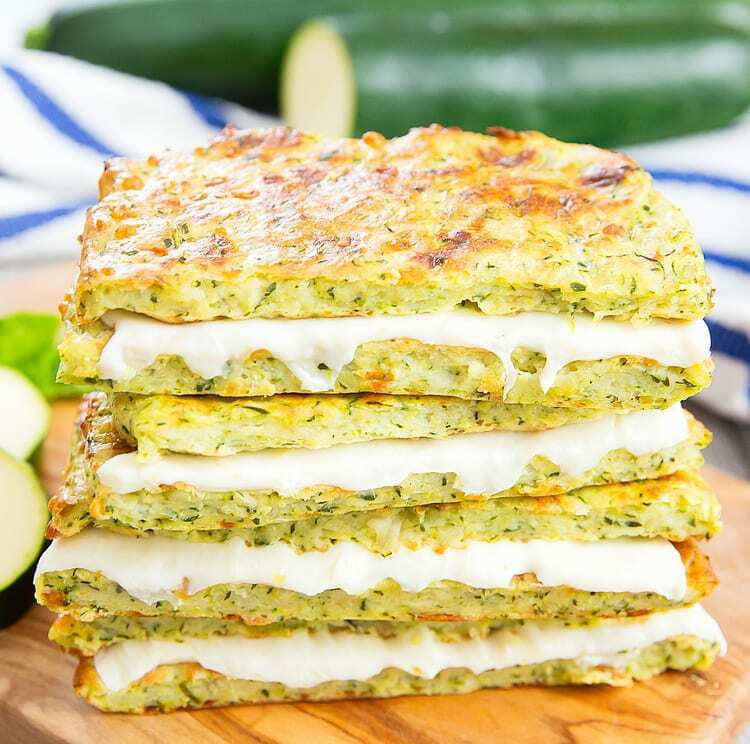 In fact, the author claims it took a lot of willpower “not to just gobble up the zucchini crust straight out of the oven.” Using parmesan and fresh mozzarella as the mouthwatering middle of the sandwich takes this dish to the next level. A second zucchini-crusted grilled cheese sandwich recipe you should try comes from The Iron You. We like how this recipe gives a thorough description of how to prepare the zucchini “bread” in easy to understand terms. The Iron You recipe team chose to go with cheddar cheese at the foundation for their low-carb sandwich. A delicious choice, for sure! What do you think? Excuse me while I run out to the grocery store to get some zucchini!